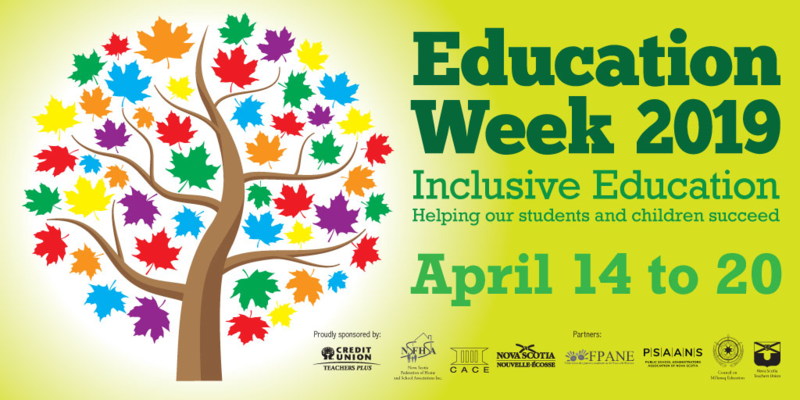 Education Week (April 14 to 20) provides a special opportunity for the education community to acknowledge educators, school support staff and partners for their outstanding work relative to this year’s Education Week theme of Inclusive Education. 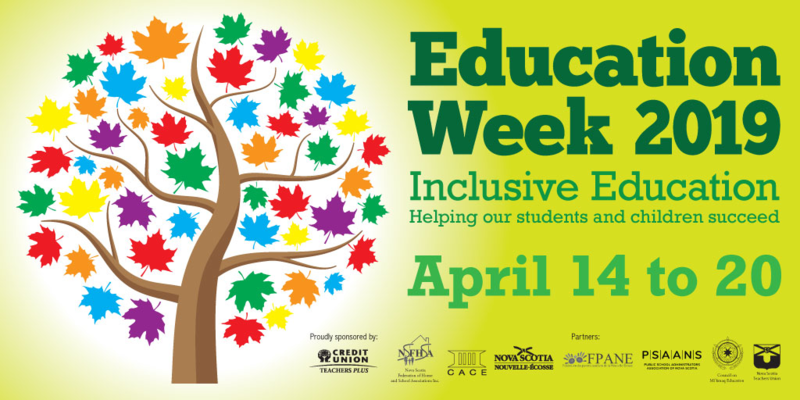 This year's Education week award ceremony will be held on Monday, April 15, 2019, at Dartmouth South Academy. This year award ceremony will recognize the work of teachers, PSAANS members, early childhood educators and student school support staff (including school specialists), who have gone above and beyond in providing inclusive supports to students, make them feel welcomed, appropriately challenged, and supported in their efforts. Nova Scotia Department of Education and Early Childhood Development, Nova Scotia Federation of Home & School Associations, la Fédération des parents acadiens de la Nouvelle-Écosse, the Public-School Administrators Association of Nova Scotia, the Nova Scotia Teachers Union, Council on African Canadian Education, and the Council on Mi'kmaq Education.